Brian Zeeck defends individuals and corporations in criminal and civil investigations at the local, state, and federal levels. He has extensive experience handling government enforcement actions and investigations, as well as complex commercial and business litigation. In addition, Brian frequently represents clients in litigation involving healthcare, government contracts, and allegations of fraud and abuse. 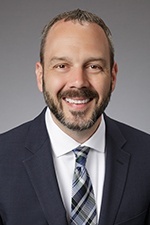 Brian's practice further includes representing healthcare entities, pharmaceutical companies, and other professionals in criminal and civil investigations and litigation involving violations of the Anti-Kickback Statute, the False Claims Act (FCA), Stark Law, and RICO. As to his complex commercial litigation experience, Brian has worked with clients in a variety of industries, advising on matters ranging from breach of contract claims to trade secrets and civil fraud claims.